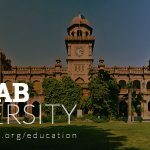 The University of Central Punjab (UCP) Lahore offers admissions in 2019 for graduate and undergraduate programs. 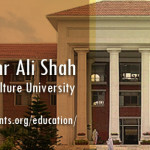 As UCP is a public sector institute was founded in Lahore in the year of 2002. 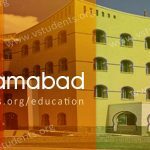 This academic institute is the popular one in Pakistan that covers all the programs like BBA, BSCS, MBA, MS, Ph.D. and other undergraduates, graduate, postgraduate programs in various fields. Up to this time, the UCP Lahore has opened few other campuses in Faisalabad, Sialkot, Okara, Gujranwala, Multan, Sargodha and Rahim Yar Khan. Recently University of central Punjab offered spring admission in 2019 in various disciplines including BBA, MBA, BS (Hons) and other Mphill and Ph.D. programs. 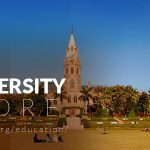 Find the detailed procedure to get enrolled in the interested field, latest UCP admission advertisement 2019, fee structure, entry test date, admission last date, scholarships, and jobs. The institute has recently announced the admission of various departments like computer science, Business, BSCS, MSCS, BBA, MBA, BA, MA, Mphil and numerous other modern programs. 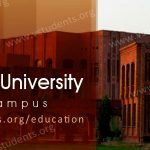 Students can find the UCP Lahore admission Last date, UCP Fee Structure, Scholarships, Merit List, Entry test date, university ranking by HEC and jobs offered by University of central Punjab Lahore. UCP starts its admission for all departments including engineering, pharmacy, information technology, media and communications, sciences, life sciences, art & social sciences as well as faculty sciences. Find the announced last date to apply for admission. University of central Punjab announced the spring admission 2019 and accepting the application forms from now even the due date is not yet published officially. Students can submit their admission form along with the required documents before the BBA, MBA, BCS, MS, and Ph.D. admission the last date to apply. There are different fees for every program like BS, MS, and MPhil, etc. Every of the program registration fee is 25,000 PKR. 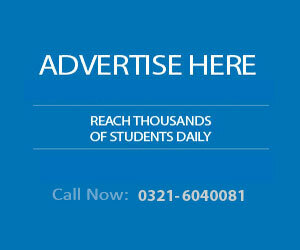 For BBA, BCS BS (Hons) programs per semester UCP fee structure is up to 1,55,000 PKR, and per course fee is 26,000. Fees can vary with a discipline to choose and program duration also depending on the number of semesters. For UCP MBA fee structure and Mphill similar programs same as above 25,000 registration fee as well as 1,55000 and 26000 PKR, are total and per course fees respectively. Click here for more details. The institute stands in “W4” category which is the ultimate achievement for the university management and their faculty. It means the students are on the right way to brighten their future with international standard education level. Check meri list for more details. That’s why the filtration matters and university of central Punjab entry test 2019 are compulsory to get enrolled for graduate or undergraduate programs. After that university will punch BBA, MBA, BCS, MPhil merit list 2019 on the board as well as the online website for qualifying students. The institute offers BSc in Electrical and Mechanical Engineering and course consist of 4 years program. Eligibility: FSc pre-eng with 60% marks. Eligibility: BSc engineering or equivalent with 50% marks. 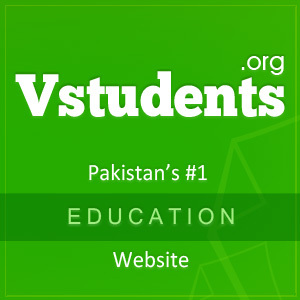 BS and MS programs in computer sciences. The institute offers Ph.D. of three years in computer sciences. Eligibility: The candidates who are applying for BS, they must have Intermediate with 45% marks, for MS admission candidates have 16 years of education and for Ph.D., 18 years of educational background with 50% marks. The department is offering BBA & MBA in Banking and Finance. BS & B.com Honors in Applied Accounting for four years. 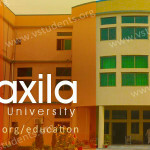 The institution is also offering MS, MPhil, M.com and Ph.D. programs in Commerce education. The department offers MS and MPhil courses in Clinical & Organizational Psychology. Eligibility: Students of M.A, MSC, and BS (honors) can submit the applications for this course. University offers many jobs for the qualified and competing lecturers as well as for examination staff. Please be updated with the latest job posted for the UCP Lahore at the official website. For more details, please visit UCP official website www.ucp.edu.pk or regional offices Faisalabad, Sialkot, Okara, Gujranwala, Multan, Sargodha and Rahim Yar Khan. Address: Khayaban-e-Jinnah Road, Johar Town, Lahore. 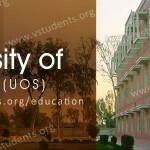 I need to ask that what is the exact of the entry test of UCP for admission. 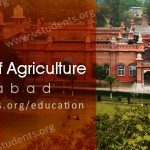 Tell me details of BS food science and nutrition and BS biotechnology 4 year program and admission criteria. i just want admision in MS/M.PHILL in gender studies.. can you help me .. can anyone tell me when will b admisions are closed??? What’s ranking of ucp mba professional in market?? Sir when admissions are reopen and what is the fee structure of Ms forensic?